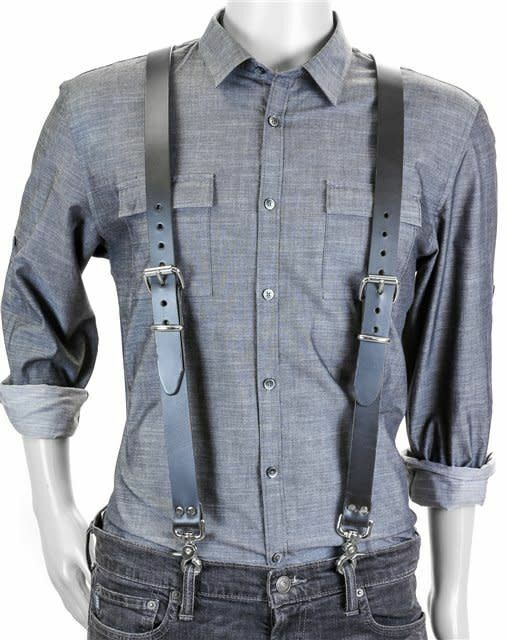 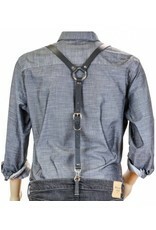 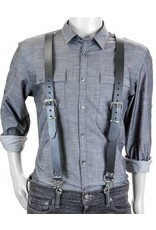 Attribute 3: * 3/4" 1 1/4"
3 way buckle adjustable completely adjustable leather suspenders. 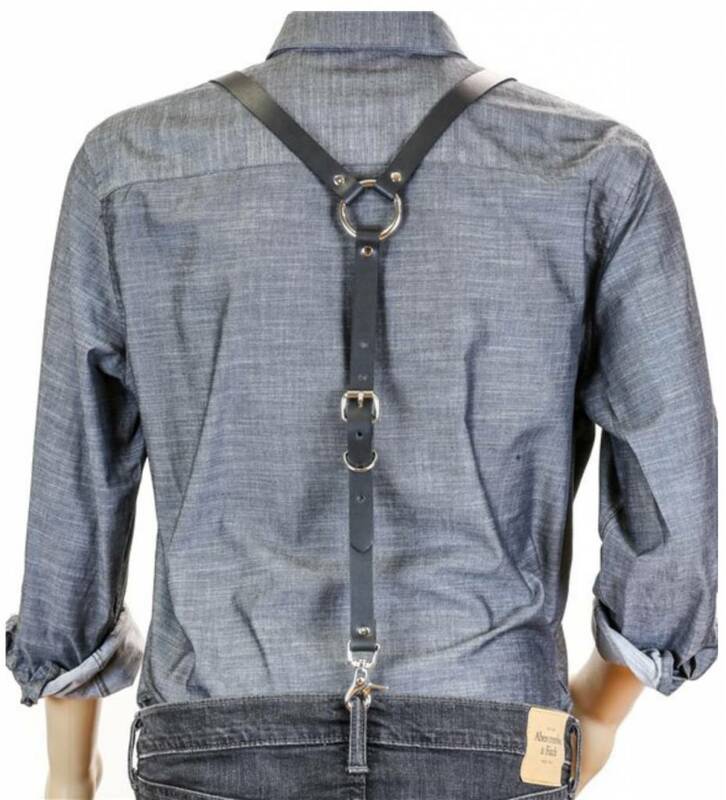 Removable black kilt belt, to help you get the perfect fit. 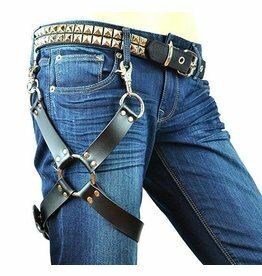 This single thigh harness features two heavy duty o-rings, a center strap, and two straps that wrap and snap around your leg. 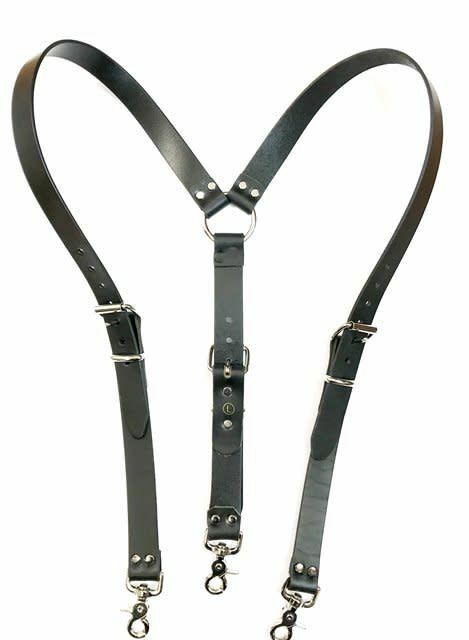 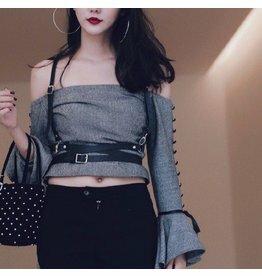 Looking for a fun fetishistic accessory that's 100% vegan? 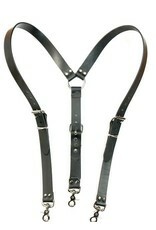 Classic thick latex belt with a brushed metal buckle to complete your latex fetish outfits.